Alejandro Cohen and Marcos Chloca are originally from Buenos Aires, where they began their musical collaboration as Languis some 10 years ago. Having lived in Los Angeles now for six years, the duo has released their fourth full-length album, Untied. Combining softly jangling guitars, melodic bass lines, and silky electronics with sheets of distortion and reverb, Languis create a sound that is both synthetic and organic at the same time, as the natural world merges with the man-made world. A juxtaposition of warm melodic tones with courser layers of noise throughout the mostly instrumental pieces results in endlessly creative sonic structures that are alive with freshness and originality. 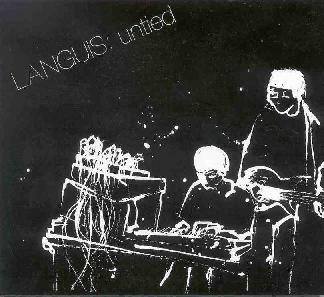 Languis sometimes uses the kind of rhythms you might hear in electronica, but the infusion of acoustic sounds and electronic glitches give the music a randomness not normally found in that genre. While many of the song titles evoke scenes of nature (Waterfall, Touch a Cloud, Orange Grove, A Leaf on My Shoulder), it’s an abstract kind of nature that Languis explores. The environment is reduced to its basic components, and re-combined to form innovative and fascinating new directions in music. And while that may sound a bit too experimental for some tastes, it’s not the case at all. Languis is eminently listenable stuff, the kind of music that can float in your background for a while, then suddenly sneak up behind you and take you by surprise, capturing your attention and holding onto it till the last notes fade away into silence. For more information you can visit the simballrec web site at: http://www.simballrec.com.